Not About Oil? They Must Be Joking – Just One of the World’s Many Resources that the History of Interventions, Occupations, and Wars Are Always About. What many of the world’s wars and interventions are all about. One of the world’s most valuable resources controlled by a wealthy few; from British control of Middle East oil before the Second World War to US control of global oil resources after the war. “The pioneering spirit should now lead American capital and American engineering to seek new sources of petroleum supplies in foreign fields for the benefit of the America of tomorrow. Nor can this be done without popular support inspired by general appreciation of oil as our servant, a servant that works 24 hours a day and 7 days a week”. “I helped make Mexico and especially Tampico safe for American oil interests in 1914. 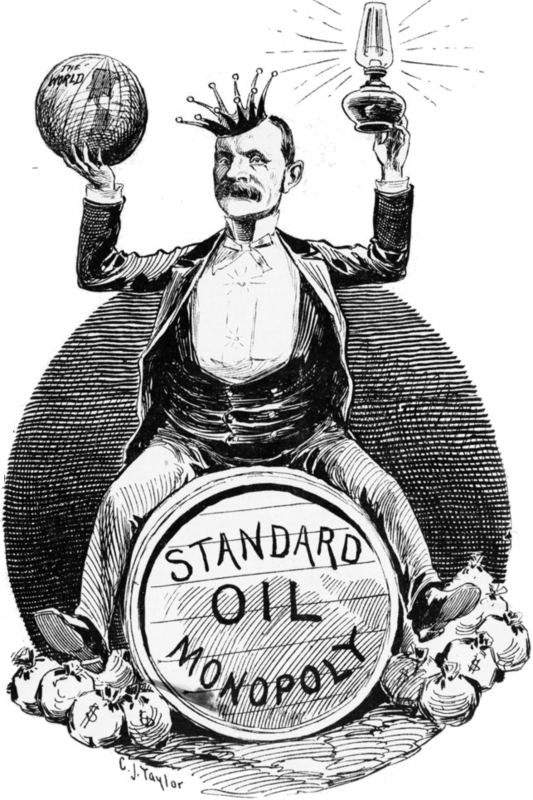 … In China in 1927 I helped see to it that the Standard Oil went its way unmolested. “… we’ve got to win a real war, which involves using a lot of troops and building a nation, and that’s at the core of the president’s strategy for rebuilding the Middle East. “My point is that it’s incorrect to say that the Iraq policy isn’t working. It is working. It is doing what they want. They have got control of the oil and they are exporting it, and they have stripped a government that was 90% state owned and they are privatizing it. If you look at e.g. the frankly imperialist editorials in the NYT etc. re the U.S. invasion of the Philippines 1899-1902 they are frank in their gloating about plunder–X many board feet of mahogany, etc. Despite a certain amount of halfassed gibber suggesting the recolonization of “shithole” countries, Trump & Co–while undeniably, terrifyingly destructive in everything they do–do not seem to have succeeded in reviving this piratical frankness across the board. What is different about the modern age–and for that matter what distinguishes our belated decadent phase of capitalist imperialism, with e.g. its emphasis on the superexploitation of foreign industrial labor, from circa 1900 imperialism given that the two have a clear material basis in common? Or indeed from e.g. the (IMHO wrong) Toynbee idea about the Roman alleged pure plunder slave economy. Are we speaking here of unalterable human nature based on greed or of sinful humanity even–or of unalterable, timeless evil in the US & US/”western” policies and bus. practices? Iraq and “middle east” policy are certainly still, as in the WW1 era, very much “about oil” as this piece reminds us tellingly. It’s easy to lose sight of this unalterable fact. But–one hopes without indulging in the idiocy of whataboutery (not intended)–what is it that objectively distinguishes the current period from its early 20th c. predecessor? Where are the left movements that even in the U.S. succeeded early last century in mounting a challenge to the then version of imperialism, but appear incapable of doing so at present? Is their defeat final? Are we left with only a moral basis for opposition? Great piece–this is not a complaint or any sort of accusation, but expression of a desire to take the discussion further (and further than I certainly could take it unaided).